I’m back! I was doing so well there for awhile, right? I just can’t believe that 10 days can be leapfrogged in a blink! My parents stayed with us this past weekend, so that always makes the weekend move along. My mom is not one to sit on a couch (like I tend to do), or lie in bed watching reruns of Modern Family. She is out shopping and …well, mostly shopping. Anyway, I did get the first block of the Snapshots quilt along put together on Saturday. I set a timer, but I’m kind of embarrassed at how long it took. I thought I would be bragging here at the end of it, but …wow … I guess I’m slower than I thought. I have lost my “G” Alphabittie. Hence the out-of-place “Z”. Do you recognize these fabrics? With the exception of the white gingham background fabric, these are from the Greg Jones Blogger’s Choice bundle from Fat Quarter Shop. They were all so bright and fun. It took me the longest to decide which ones to use in the Birthday Cake block. Lovin’ It! 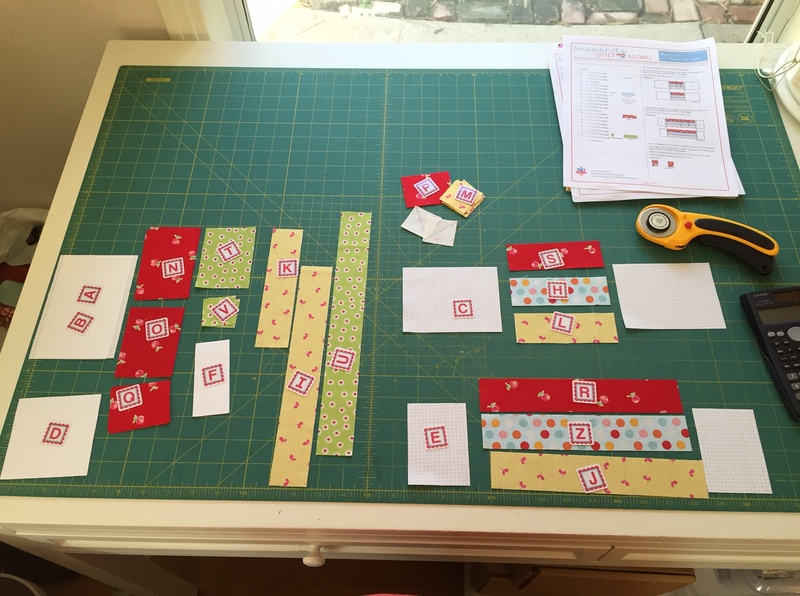 I don’t know if I will make all of the blocks, but … you know … just in case … I went ahead and got the 3.5 yards necessary of the white background so I would be ready. 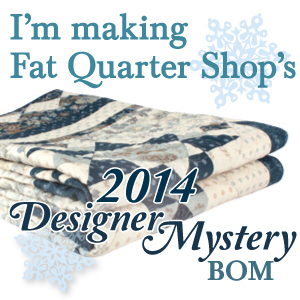 If you love the fabrics as much as I do in this bundle, you could take you chance at a GIVEAWAY by Greg Jones himself! He is offering a bundle through his blog post HERE until Jan 31st. Check it out! All the best for a great end to the week! 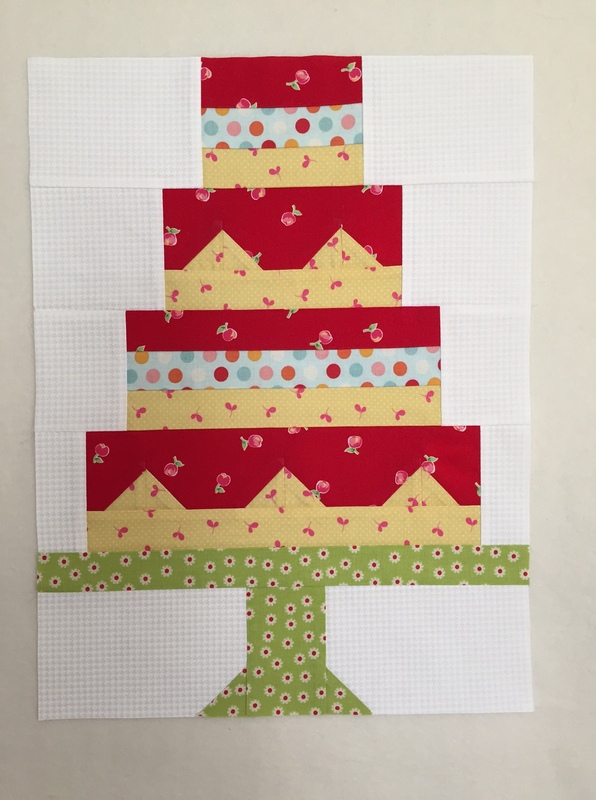 Love the cake it looks adorable, fabrics are perfect! Eek! How exciting! I LOVE seeing it in those fabrics! Now I want to make another cake! And do not feel bad about the time commitment. These are time-intensive blocks but you will love the results. I’ve already done a few additional months that you haven’t seen yet and it’s rewarding to see them finished. Looks good enough to eat! And I want a real cakestand just like yours! I love that fabric group of Greg’s! I have had my eye on it. It is perfect for the Snapshot project! Your block is adorable Jennifer! Thanks Sinta! 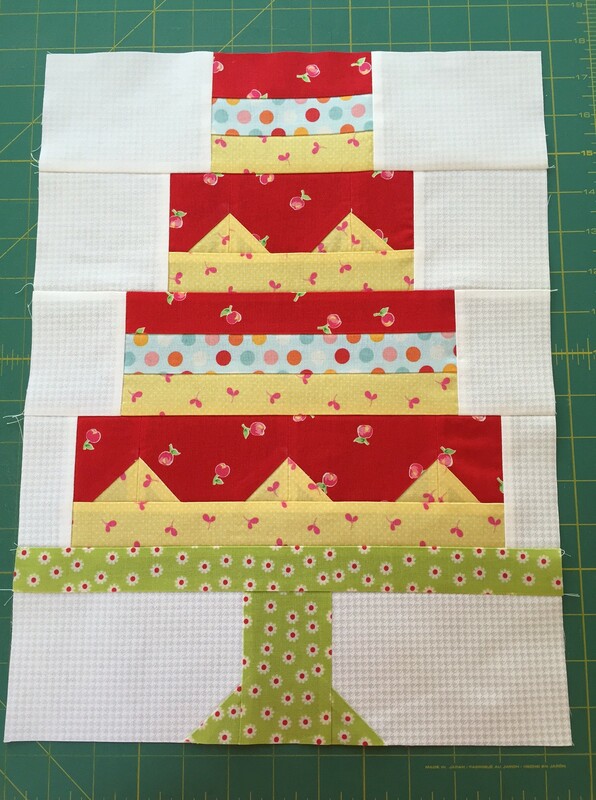 The next block up looks like a lot more little pieces (sewing machine). I’m looking forward to it though!